Once upon a time, there was the general store. It was the only store in town, and all the locals knew it. Thanks to ‘the internet’ there are now a million-bajillion stores in every town. Instead of attracting the locals, your business now needs to build an email list. Your social media audience is a great place to recruit people to join your email list. These folks are already interested in your brand (they’ve liked, followed and circled you, after all), so getting them to your email list is the logical next step. 1. 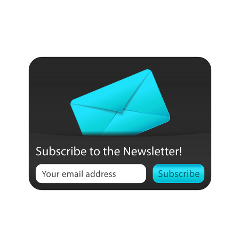 Write a Facebook post or tweet that encourages fans to sign up for your newsletter list. Make sure you include the specific benefits of being a subscriber, such as exclusive offers, access to something behind the scenes, or first-look opportunities. 3. Take advantage of Twitter’s awesome new ad unit, the Lead Generation Card, which you can use to collect email addresses directly from Twitter. 4. Talk about an email-exclusive deal or incentive and let your social media audience know about it before the email deploys. Make sure to include a link where they can sign up for emails and get in on the incentive. 5. Promote your emails and include a link to sign up in a welcome tweet or in response to a positive comment on Facebook, Twitter, Google Plus, or anywhere on the web. 6. Include a link to your email signup in your Twitter Bio, your “About” section on Facebook, and the “Summary” and “Website” sections on LinkedIn. 7. Run a giveaway, offering subscribers a chance to win some awesome prize if they subscribe to your email. 8. Create a “welcome offer” – a small incentive, such as a discount, to all new subscribers and then let everyone know about it on your social channels. One note: If your welcome offer is a free or discounted gift of any kind, make sure to include free shipping. There you have it – 8 awesome ideas to get you started on using social media to generate signups for your emails. Inviting your social media audience to engage with you through your emails is an excellent way to keep them coming through your doors week after week and year after year (and you don’t have to be the only store in town to do it). Grow your following and your email list, boost engagement, drive sales, and increase customer loyalty. All in one, easy-to-use interface. Did we leave anything out? Post your tips in the comments below.